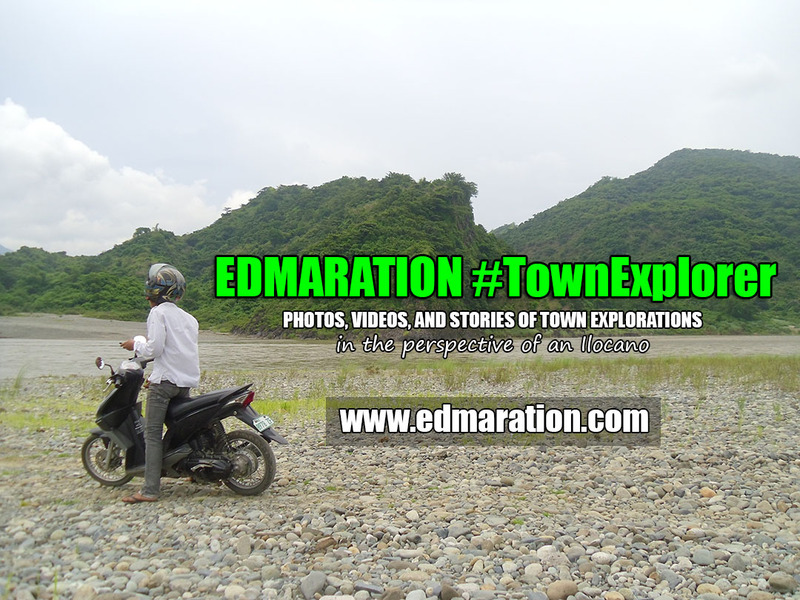 "Well, it was an encounter of thrill and fun. The ghosts are all friendly. 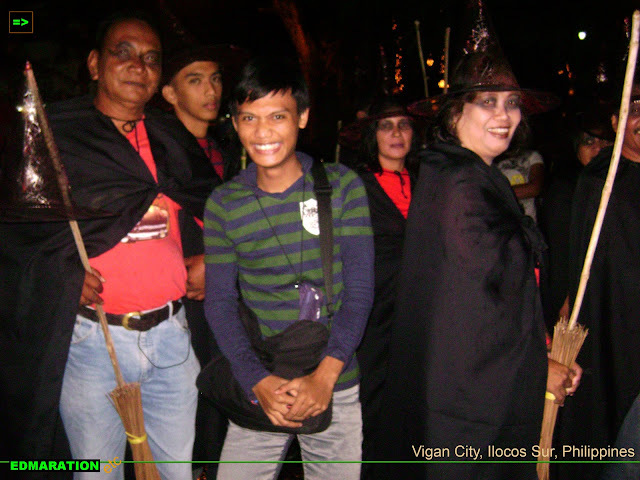 In fact, they were the one who got frightened on me because I almost ruined their costumes accidentally." The whole city is invaded by ghosts and engkantos with the purpose to entertain people. 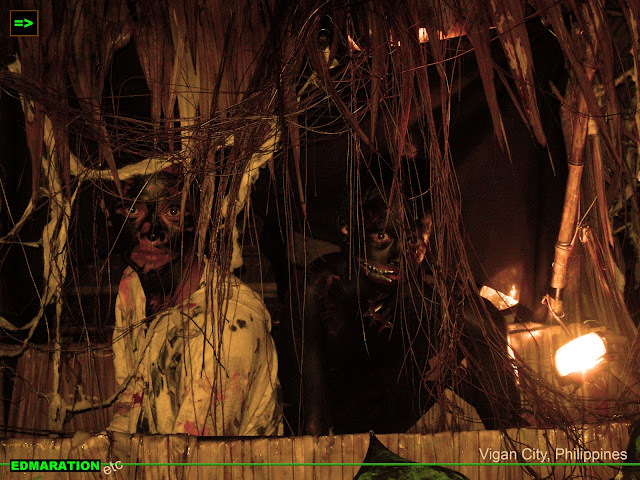 Yes, they are not here to frighten the citizens but they have invaded the city to entertain and give fun and laughter! As long as the Raniag Twilight Festival is on, expect to see ghosts, maligno and engkanto roaming around the city. Well this is in fact the essence of the festival - to make frightening creatures be the subject for fun and laughter. 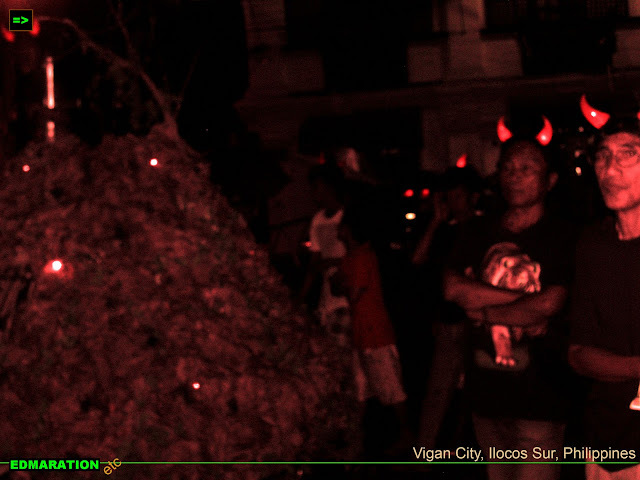 I was really glad that I was able to encounter this festival and have the opportunity to share with the world what the city of Vigan has to offer during Halloween season. 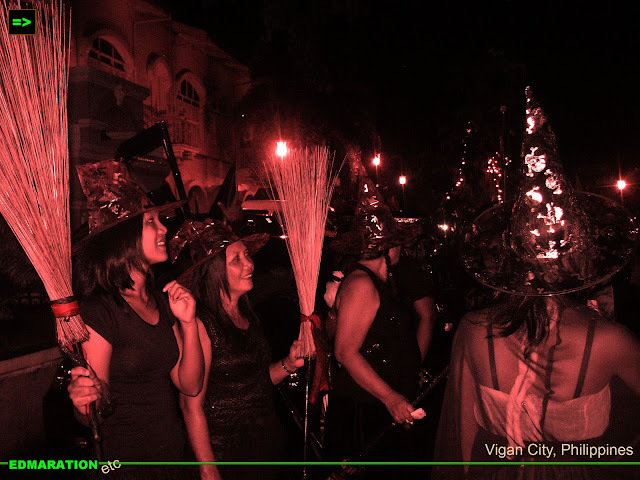 The creativity of the Ilocanos of Vigan have made this festival successful and has changed the people's orientation regarding Halloween - that there are ghosts but those ghosts come in a season to entertain and give fun. I was able to spot one engkanto with a burning flame on his neck. 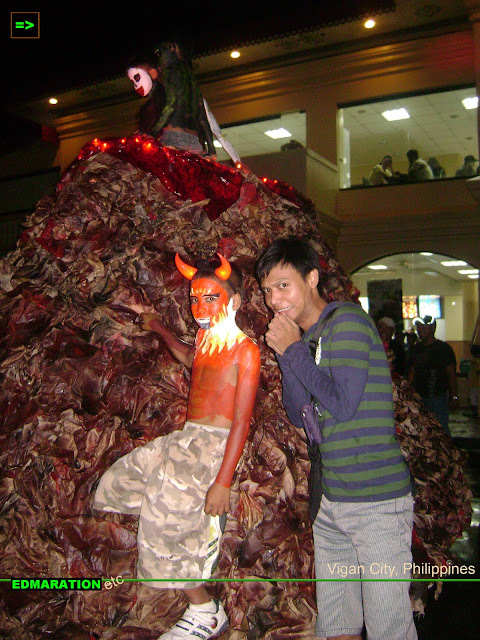 He is still young and he has been doing this to represent his barangay for this night's competition. Luckily, the boy engkanto consented in having a picture with him. I don't know how and what to call them so I just coined "the boys of the underworld" because they looked like have just risen from their graves. As usual, just spotted another ghosts but they looked so gentle and they are in a gray scale mode. There are 4 of them and they don't look scary but they looked so innocent as if they don't know what they were doing. hehe. I, in the same way, also had a face to face encounter with this kalansay boys. There are 3 of them and one of them has a protruding heart, hehe. They were situated atop of a multicab waiting for the parade to start. There you have it! I think this is already my final post for the Halloween series because Halloween will be over - Christmas is fast approaching. Well, it was an encounter of thrill and fun. The ghosts are all friendly. 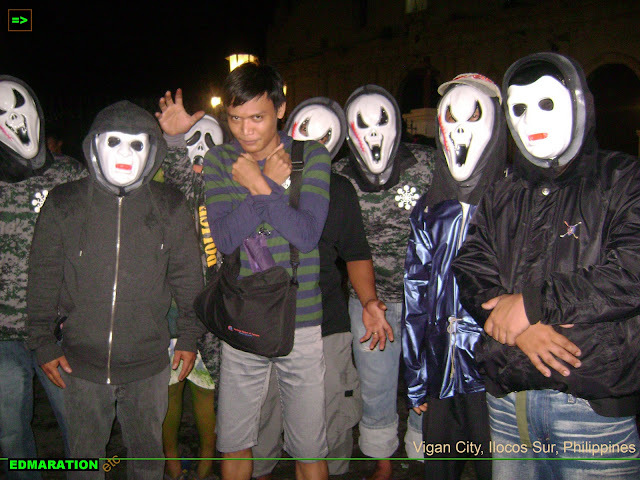 In fact, they were the one who got frightened on me because I almost ruined their costumes accidentally.